Audio Zombie has made a huge impression on the haunted attraction industry since its debut in 2010. If you go to any forum devoted to haunted attractions and look up discussions about the best audio for use in haunts, Audio Zombie will be definitely mentioned. Their work has appeared in numerous haunted attractions and amusement parks, which would still be impressive even if their services weren’t also used by musicians, animatronic designers, museums, escape rooms, radio programs, ghost tours, web masters and filmmakers! Audio Zombie also won the “Best Audio Design” award at the Project Twenty1 Film Festival for their work on the movie Fallow Ground. It’s no wonder they’re one of the top sound designers in the world of horror. But who are the people behind Audio Zombie? I got in touch with Audio Zombie while researching an article about providers of royalty free audio for haunted attractions. Not only did they confirm they offered several albums which haunts could use without paying royalties, but Mr. Ruch kindly offered to speak with me over the phone! We wound up talking while he was preparing to go record a storm. It wasn’t that Audio Zombie didn’t already have storm sounds, mind you. No two sounds are ever exactly the same and the company knows the value of having a large library of effects to work with. He also told me how all effects are either created in studio or are recorded in the field instead of being made entirely on a computer. One such example was how they had gone to Centralia, Pennsylvania to record hours of live audio. The place has been all but abandoned due to the mine fire that’s been burning since the early 60’s. I mentally filed away that particular album as the first Audio Zombie album to review. We both agreed that sound is one of the most overlooked aspects of haunting despite its ability to enhance scares. He also noted how he likes to use metal parts and other objects one wouldn’t normally associate with music to create disturbing sounds people won’t be able to identify. My favorite anecdote from our conversation demonstrated how Audio Zombie’s services extend beyond just offering albums or being hired to create custom audio. One haunted attraction Jason Ruch had been working with had an empty room and they couldn’t figure out what to do with it. So Audio Zombie crafted a track which, when played on a speaker in the dark room, made people swear the walls and floor were moving! “Mineshaft” opens Centralia with a rumbling and creepy burst and becomes amazingly moody. Soft metallic chimes are often heard, but they are nothing like the relaxing ones you’re used to! Moaning tones are also a constant presence and sometimes there are noises which sound a lot like bursts of wind. This track flows into “From Above,” which creates a feel of dread and power thanks to its moaning tones and soft unnerving noises you can’t identify. I wound up looking over my shoulder a few times while listening to this despite being in a brightly lit room! You can also use the previous two tracks with “The Ashes.” That track, much like the album it appears on, oozes atmosphere. Metallic chimes and a low backing tone create a sense of menace. This is enhanced by other light (but creepy touches) and occasional appearance of a wailing woman. “Eve” has a great buildup in terms of both volume and scare factor. The backing tone and use of soft noises make this another track to use when you want your guests to feel menaced by something. The backing tone volume actually increases at times and soft plinking tones often join in. In fact, they take the spotlight for the last part of the track, but not before some softly played string work appears. I can easily see this appearing in a haunted playroom or nursery. The disturbing low tones of “The Devil’s Well” conjures up an intense sense of unease. There’s also soft wordless female vocals and plenty of other eerie touches which are sure to remind you of something from a modern horror movie. It’s a versatile track which can be used in several types of scenes, but you can make a Devil’s well of your own by combining a fiery bottomless pit with a prop well. Just be sure to do the carving outdoors! For added chills, you could hide the audio player inside the prop so it sounds like the audio is coming from the depths of the well! Playing it softly so people can only hear it once they get close to the well further adds to the effect. “Devoid” marks the album’s first use of crackling fire sounds, but the low backing tones and various creepy touches make this more than a fire effects track. This makes me imagine spirits flying around a burning pit, so why not combine fake flames with projected ghosts when you play this at your haunt? “As the City Burns” combines steady medium pounding tones, disturbing noises and the occasional metallic notes. One of said noises reminds me of a monster breathing. The sound of a crackling fire joins about halfway through the track. There’s lots of other disturbing noises you won’t be able to place, along with a distant cry and overall lurking feel towards the end. This practically begs to be used in a haunted boiler room. This might sound a bit intimidating for some haunters, but it’s amazing what you can do with cardboard boxes and paint (and fireproofing spray). Let’s look at this toy furnace for inspiration. You won’t be making an exact replica, but it should give you a rough idea of how to detail your props for this scene. It’s amazing how little touches, like the rag on the pipe, can add so much to the overall feel of the scene. Having a charred corpse laying nearby could also make for a great effect. Especially if the light from the flickering fake flames falls upon it. You can cast your own fake bolts while the pipes can either be made from cardboard tubes or pool noodles. The dim lighting and use of this track will make it seem so much more real. Don’t think you’re limited to having Freddy Kruger leap out at your haunt’s visitors. Plenty of other creepy characters can burst out from behind (or from within) the machinery in the boiler room. Come to think of it, why not make the furnace itself the monster? Imagine it doing something like Goth Gloom ‘s cage scare and you’ll have the right idea. You have your choice of giving it features which vaguely resemble a face, having it transform before attacking or just having a regular creepy furnace suddenly speed towards people. They’re sure to be scared no matter what you do! But make sure the pipes aren’t actually attached to your prop furnace and place the charred corpse where it won’t block the furnace’s path! The booming start of “Mist” leads to creepy noises and light tones which create an otherworldly. There’s plenty of wind and other incredible scary noises, including (but not limited to) creaking metal and more booms. The light plinking tones return with creaks which remind me of a swing set. This can be played softly with a vortex tunnel or in a haunted playroom. If you go the playroom route, be sure to include an indoor swing and evil toy robot to imply the source of certain sounds. “A Blaze in the South” should be used when you want low key creepy feel. It has soft droning, spooky snippets, vaguely rattle-like notes and metallic thuds. “Nightfall” offers a louder sort of pounding introduction. The eerie moaning tones in the back are layered with winds and bursts of pounding noises. There’s several soft female gasps thrown in as well. Can you say “dark maze?” “Dust” has plenty of creepy horror stings. You’ll know them when you hear them. But there are plenty of other chilling touches as well! There’s the soft, pulsing backing tone and there’s also unnerving light touches sprinkled throughout it. There are also some ultra soft wordless female vocals and otherworldly musical touches towards the end. Listening to “Winds of Fire” will make you feel like you’ve been transported to another realm or alien planet. It mixes droning with otherworldly tones and the occasional soft buzzing noises. Its various sci-fi tones make it ideal for a vortex tunnel, alien room or mad scientist’s laboratory. “The 7th Hour (Bonus Track)” is both creepy and moody, with many of the little touches this album has taught us to know and love. I enjoyed the occasional pounding notes, which kind of sound like a strike from an evil bongo. 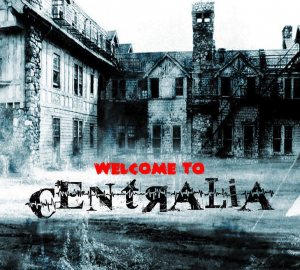 Centralia is easily one of the scariest albums I’ve ever heard. If you have a haunt of any kind, be it professional or home, you need to buy this immediately! I tried to mix things up a bit in terms of haunt scenes one could use this with, but there’s no reason you can’t go with setups which relate more to the burning place which inspired the album. A creepy fireplace would be a perfect fit for several of the tracks, as would someone screaming while trapped inside hot lava or burning coals. A similar effect can also be accomplished without a victim and the Garage of Terror has plenty of other effects suitable for such a haunt. But only reviewing a single album from library of material as diverse as Audio Zombie’s just wouldn’t be enough to give you a full picture of what the company is capable of. That’s why we’ll also be looking at Penumbra, a unique take on more traditional horror subjects. Its name is a reference to part of an eclipse and references to eclipses and the moon appear several times throughout the album. “Crescent” begins with the soft plinking tones of a music box. But as it winds down, speedy intense violins and pounding light tones ramp up the creep factor. It’s very intense, although it slows and fades down for the ending. The sense of unease in “Occurrences” is palpable thanks to its pounding tones and occasionally creepy background touches. Its other scary touches include violins and creepy screeching noises. The piano work in “Bathory” has an appropriately royal feel. This tribute to the legendary blood countess makes wonderful use of soft wordless female vocals and elegant musical touches. The brief piano solo was a great touch, as was how the piano and violins were later joined by militaristic drums and cymbals. “The Lantern” has a soft opening which gradually builds in both volume and intensity. At first there are mournful violins and a soft pounding backing, but it then winds down into just the backing. Said backing then takes on an almost pulsating feel. However, the return of the violins and other elements bring things back to normal.. or as normal as this could possibly get. Given the name, you should use this with a flickering prop lantern in a creepy room or graveyard. “Ghost Moon” offers more soft and creepy string work, along with some mystical chimes. The addition of elegant piano work creates a vaguely medieval feel. It might have a mild mournful tone or regal feel depending on the mood of the listener. The piano solo was wonderful touch which ups the scare factor before the violins join in. There’s lots of amazing variations in the piano work. The menacing low tones and creeping musical notes help give the ending a feeling of urgency. “Antumbra” is a term which refers to a part of a shadow during an eclipse. as for the track, its magnificent soft buildup has an eerie feel. There’s plenty of soft piano work, with appearances by chimes and violins at times. Backing tones and sudden bursts of sound also present, along with macabre music box tones at various points. The quick burst of cymbals are a great touch, as are the tolling bells and disturbed light notes which appear during the unnerving ending. This works with both haunted nursery and haunted circus scenes. “Apparition” offers nervous but steady piano work and stretches of string work. Creepy light chimes are also added to the mix. It takes on a grand, opulent feel later on, which makes this a must for haunted mansions or castles. Nervous strings usher in the sensation of fleeing towards the last leg of the track. The big finish is comprised of numerous musical variations which you absolutely need to hear to appreciate. The opening booms of “The Summoning” sound like something massive approaching. Soft violins and sweeping tones are quickly joined by eerie, otherworldly touches and let the listener know a visitor from beyond has arrived. There’s surprising use of a soft guitar work which avoids bringing in a “rock” feel. That said, it does vaguely remind me of something you would hear in an Italian horror movie from the 80’s (which isn’t a bad thing). Although there ghostly effects mixed with the touches of drum and string work, there is not any moaning like one might expect. This is also not a bad thing. Who needs that when the guitar supplies the feeling of sorrow? The soft, booming outro of this lengthy track is made even lengthier due to an eight second period of silence. If you use this in a séance scene or theatrical séance, you can use the classic “Pepper’s Ghost” effect to make a spirit slowly fade into our realm. “Last Rites” uses soft violins and piano to provide a sense of mild elegance. The strings pick up both the feel and pace with some lighter piano notes. This in turn creates a sense of pursuit. Cymbals clash and bring in more violins and soft snare drums. Some surprise horn work and soft tones backed by driving, intense backing beat lead to another big finish. The soft piano opening of “Dusk’s Embrace” gets darker and louder as time passes. A sense of evil power builds and then becomes present in the background even when the piano work is lighter. In fact, the piano will start and stop as if the player is pausing to look out for something. It gets even more interesting as time passes and other disturbing effects join in for a spell. If you want to create a sense of uncertainty, this is the perfect track! “Eclipse” provides a soft and creepy vibe for any spooky setting. The sorrowful strings and tambourine cameos are joined by a dual violin effect. But then the pounding drums and wordless male vocals arrive to dominate. There’s also a cool ending drum flourish. This would work great with a cult ritual scene. “The Woods” offers a low and creepy build. Soft strings and acoustic guitar work offer constant creepiness, especially the background tone. It reminds me of a giallo at times. But the tone gets mournful when those disappear and get replaced by droning and a new violin performance. Give your haunt’s murder scene a Dario Argento feel by playing this and lighting the corpse with a mix of red and blue lights. “Miasma” means “bad air” and it offers soft, plunking tones and overall dark, dangerous feel. Its riffs imply curiosity and mystery. It also has depressing violins and unnerving ethereal notes with some music box chiming layered in for good measure. Thankfully it compliments the other elements rather than stealing spotlight. Since some noise vaguely remind me of a bird, why not use it for an encounter with a plague doctor scene? Doing that also ties in with the track’s title! 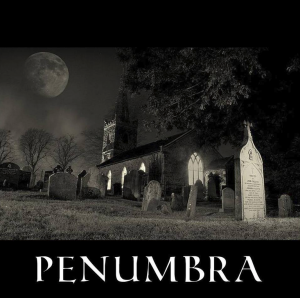 Penumbra is another home run from Audio Zombie! Both it and Centralia are incredible albums that any haunted attraction would benefit from using. The tracks can easily be looped individually and looping the albums themselves is also possible. Keep that in mind while you hand out goodies to trick-or-treaters on Halloween. But don’t be surprised if many of them are too scared to approach your house! If you want to play Centralia but think its occasional otherworldly moments would clash with your decorations, fear not! Displaying a mad science warning sign will easily resolve the matter. Not only are both albums available in CD and digital download form, but you can also purchase them on zombie drives! I’m also happy to report that Audio Zombie just unleashed its newest album Rolling Hills Asylum and has been creating custom compositions for numerous haunts. On top of that, a movie the Chief Sound Engineer worked on called The Church is scheduled for release this month! As I wound up noting in my article on the subject, purchasing the audio from Audio Zombie is all you need to do to get royalty free use for your haunt and providing credit is optional. He also wanted me to let you know you would own all the rights if you commission a custom track and provided other valuable advice which I included in all my articles about sources of royalty free audio for haunted attractions. Those with questions about potential uses of their work outside of haunts can contact them for more information. Special thanks to Audio Zombie for the review copies!